By this time, the young boy was out of vision, having disappeared into a vortex of churning legs. The mother reluctantly rose, made sure she had her cell phone (obviously a more treasured item than her child), and strolled around the corner. She returned, not carrying the wayward child, but waited for him to circle another huge section of the food court before catching his attention and pointing him toward the table. He lighted briefly before taking off again, disappearing into a sea of strangers. A boundary indicates or sets a limit. A boundary draws a line between two things whether physically or mentally. A river, fence, or mountain range may serve as the dividing line between two properties. Likewise, a standard of morals and ethics divides the acceptable from the unacceptable. Lack of discipline- Lack of discipline is evident in many areas of our culture, particularly food consumption. In addition to the wandering child we observed in the food court, there was plentiful evidence of undisciplined eating. Plates were piled high with fried foods and single portions equivalent to enough food for four, and in many cases, being consumed by people too large to fit on one chair. Our natural bent as sinners is not toward self-control. From the moment a baby enters the world, he screams for what he wants, whenever he wants it. Self-control is learned by boundaries set and observed. If parents never set boundaries for their children, they won’t understand the concept of boundaries. Perhaps worse, is boundaries set, but never enforced. And those children grow up to be adults who do not set limits for themselves or the next generation. Entitlement – If ever we lived in an age where people think only of self and feel they deserve what they want, and more, it is now. With so many clamoring for more of this and less of that, a cacophony of chaos exists that threatens to drown out wisdom and reason. While entitlement sounds enlightened, it really is only evidence of a boundaryless society. Security – Newborns, accustomed to the security and protection of the womb, often experience the sensation of falling. Many parents swaddle their babies to mimic the close confines and security they experienced inside the mother’s body. Boundaries, set and observed, provide a sense of security. Decisions aren’t as complicated when you know your boundaries. Boundaries protect from dangers that may appear safe, and even beneficial on the surface, but lead to destruction. Protection – In scripture, the lost are described as sheep without a shepherd. Shepherds not only keep sheep from wandering away from the flock, they also protect from predators. The mother in the food court either did not have the same type of concern and care for her young child I always had for mine, or she didn’t comprehend the level of danger she placed him in by allowing him to wander. While many view boundaries as restrictive, and feel one or two steps beyond poses no danger (and is their right), boundaries are for protection. The girl who took a few steps beyond the boundary fence at a waterfall, slipped, and fell to her death, valued a good photo more than her life. The parent who allowed her child to step over the rail at the zoo and fall into the lion’s den now understands the benefits of boundaries. Purpose – Boundaries do not limit freedom; they focus it. You have the choice to live within God-given boundaries or outside them. Without boundaries, you wander, swept up by the latest whim, radical belief, or popular prognostication. With boundaries, vision is straight ahead, providing the freedom to move forward with purpose. Personal boundaries define and motivate. They prevent you from getting sidetracked by endeavors that may seem right or worthy, but only exhaust and deter you from your life plan. 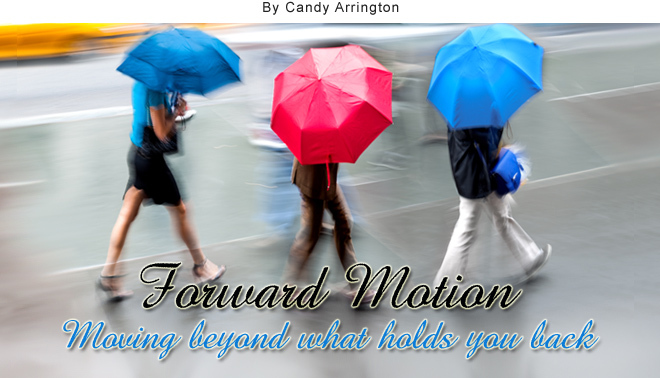 Moving forward within boundaries brings fulfillment, blessings, peace, and prosperity. Boundaries do not limit freedom; they focus it. Boundaries, set and observed, provide a sense of security. I enjoyed your post. I grew up in an age when parents still tried to set boundaries but maybe didn’t always follow through quite as well as they should. Yet most of us survived and have done relatively well. But you reminded me of a trip my parents, my younger brother, and I made to Niagara Falls when I was about seven and he was almost six. For a brief moment in time, we weren’t sure if he would make it to his sixth birthday. Mama and Daddy were trying to keep a close watch on us but he was always curious and took every opportunity to see as much as possible. When heads were turned, he climbed over the rock wall at the Falls and was leaning out for a better view. Our parents almost had heart attacks when they realized where he was. Somehow they managed to get him back on the proper side of the boundary without startling him and causing him to make a wrong move. Through the years, much has been done to improve the boundaries and the safety there, but many parents would never realize the child was in the wrong place until it was too late. But far worse are those who fail to set spiritual boundaries for their children and allow them to fall over the cliff into an eternity without Christ. Thanks for your comments, Edward. I’m often surprised by parents who boast that they are letting their children “find themselves” spiritually on their own. They teach them about other aspects of life, but leave them to “discover” themselves spiritually. I’m thankful my parents felt it important to teach me about all areas of life.